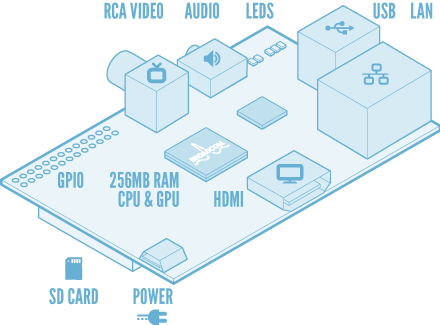 The $25 PC, the Raspberry Pi launches today! You get a 700Mhz ARM based PC with HDMI output, 256 Megs RAM, SD card for storage, two USB ports for keyboard and mouse, an ethernet port for internet connection , standard 3.5mm sound output socket, and an RCA video output socket. To power it, you just us a microUSB lead! Whether this means that you could power it from a laptop USB socket I don’t know, but any mains connected USB charger, like a smartphone or Kindle charger should work fine. There’s some good YouTube videos showing what it can do, here’s a good one. I’ll be buying one and will post when I find out how to program something for it. Previous Basic4Android – Android coding made easy!!! !